A comfortable bed in Johannesburg was a welcome sight after a 14-hour flight from JFK. 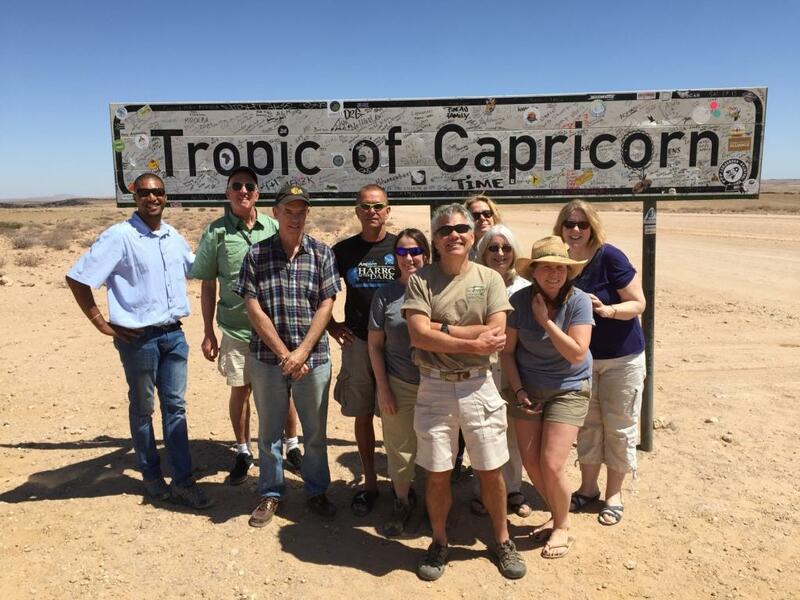 But my group was eager to board yet another flight early the next morning for an additional five hour flight to Windhoek—the capital of Namibia and the starting place for our safari. 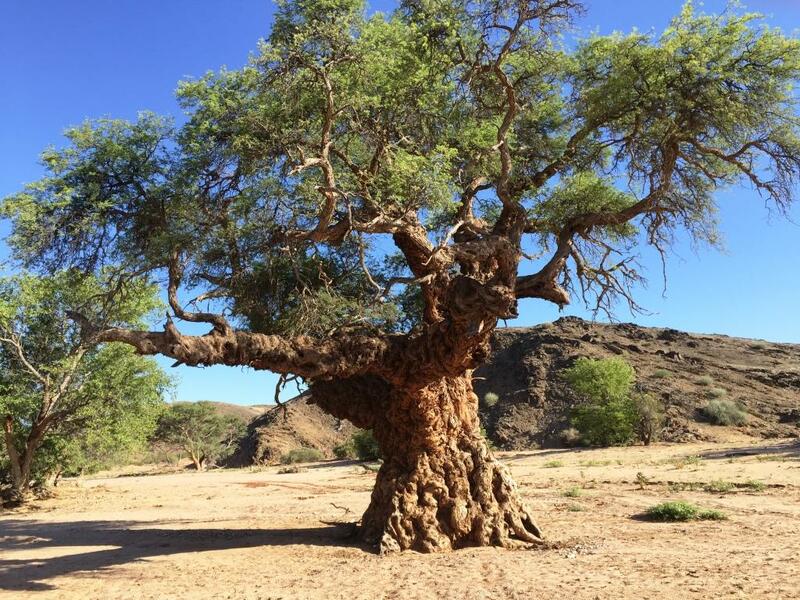 Namibia is a part of Africa I’d always wanted to visit. In the early 1960s, my late friend Arthur Jones had captured 80 Nile crocodiles—none under 11 feet—in the Caprivi strip near the Zambian border, and I wanted to see whether there were still crocs there in large numbers. There are, but more on that later. From the airport into Windhoek, we began seeing troops of chacma baboons, greater kudu, red hartebeest, and springbok. A good sign. We settled into the Galton Guest House where we met our guides for a briefing of what was to come. The next morning we loaded luggage into a trailer towed by one of the two Land Cruisers that would transport us about this large country for the next ten days. 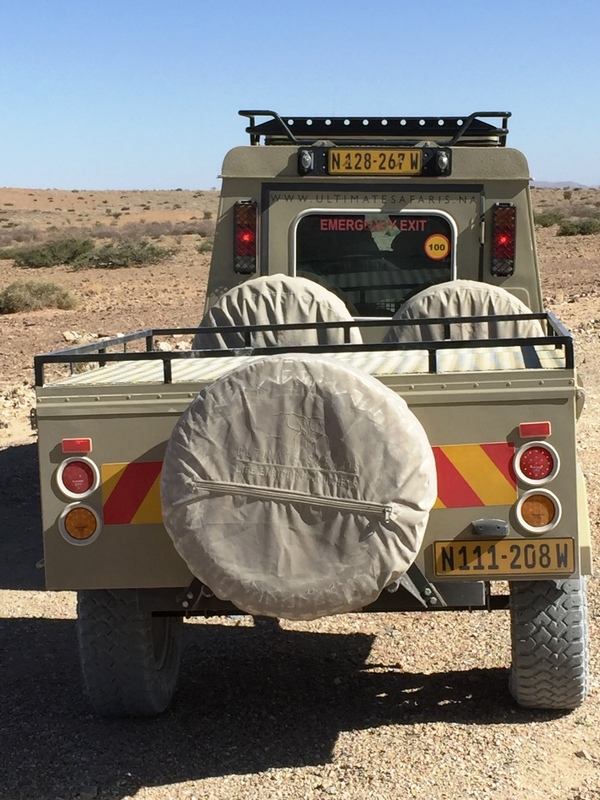 We headed southwest, our destination the Namib Desert and the Desert Homestead where we spent the next two nights. An African Hawk-eagle observed us from a tree and a Southern pale chanting goshawk soared on the horizon. The bird life in Namibia is exceptional. Namibia, I should explain, sits directly above South Africa and is bordered on the west by the South Atlantic; on the east by the landlocked nation of Botswana and the eastern tip of Zimbabwe; and to the north by Angola and Zambia. The diversity of landscape is breathtaking. 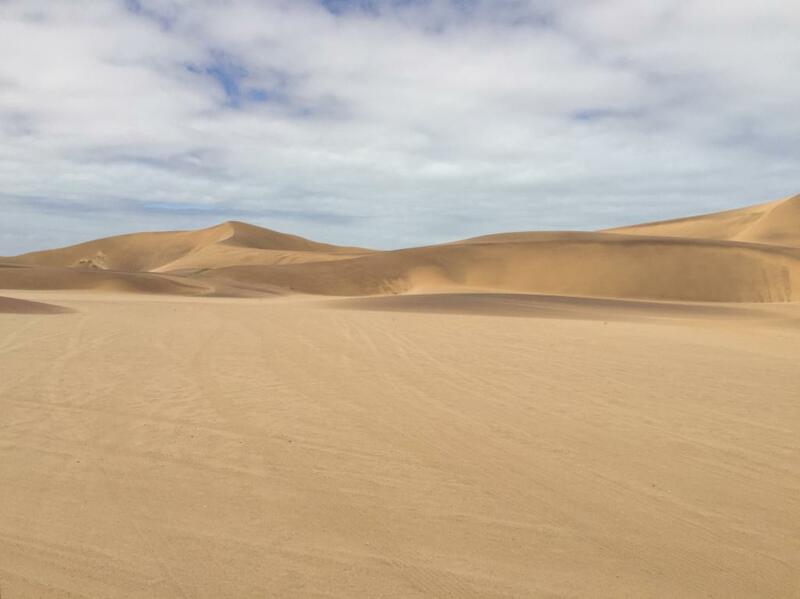 Some of the highest sand dunes in the world (over 1,000 feet) are in the Namib Desert created by winds off the Atlantic coast. A concentration of iron in the sand increasingly oxidizes in the older, more inland dunes giving them a beautiful pink hue. 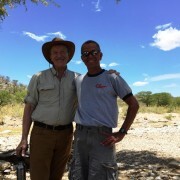 Our host at the Desert Homestead cautioned us about the dangers of the desert. 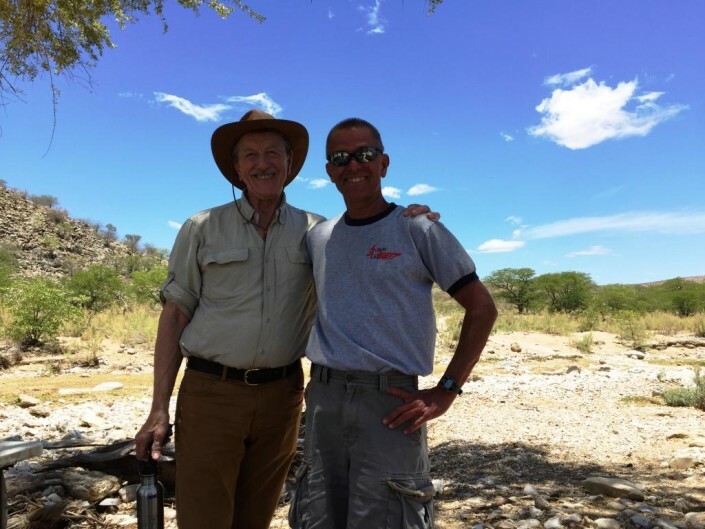 Two people had nearly lost their lives the year before having gotten lost without water—and only a short distance from camp! 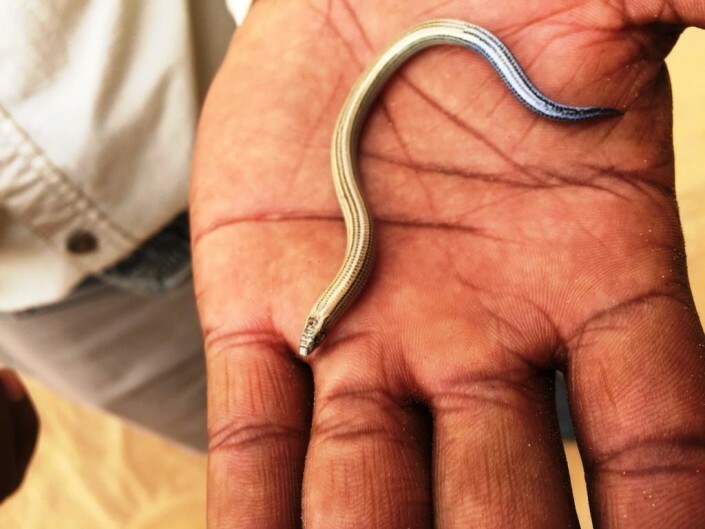 Only by luck had they been discovered by a rescue team. 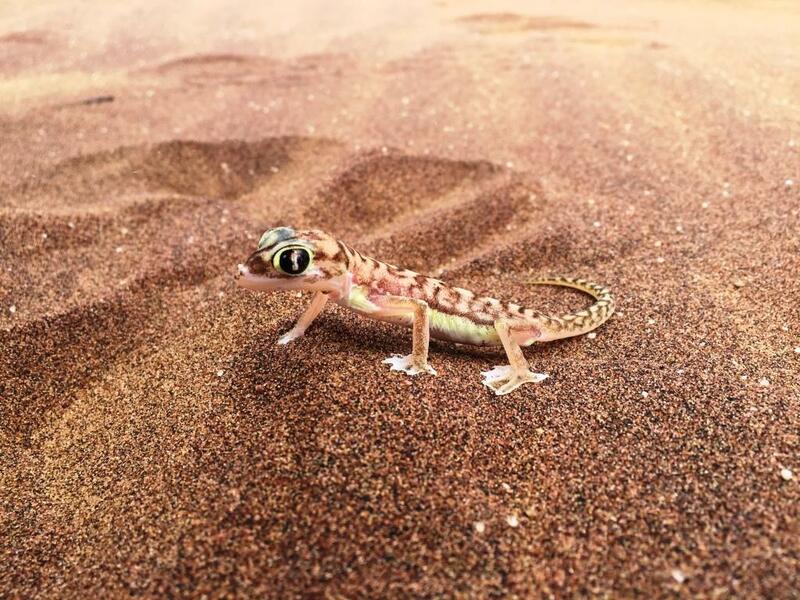 Water is precious in the desert. Thankfully, our group stayed well hydrated and experienced no problems. We left the Desert Homestead and continued west arriving at the coastal town of Walvis Bay for lunch before following the coast north to Swakopmund. 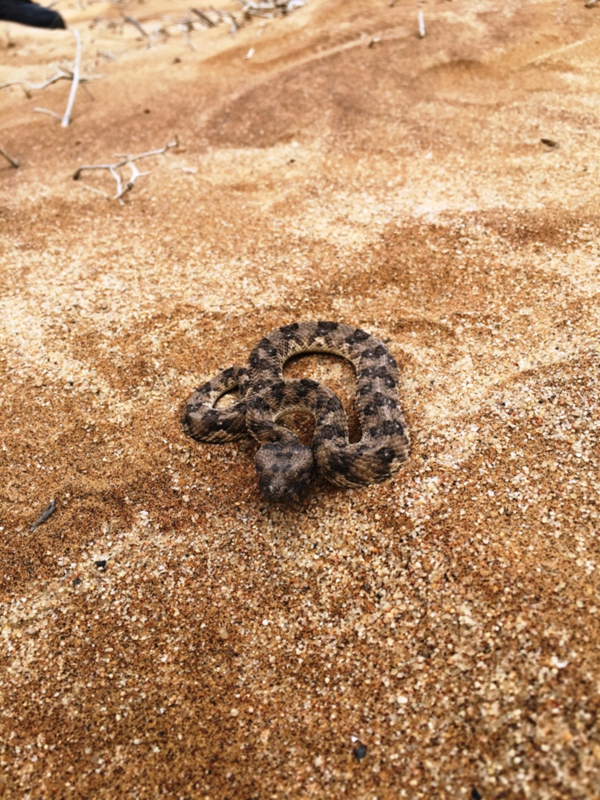 Early the next morning we explored sand dunes outside town where our guides uncovered a well camouflaged Peringuey’s viper and a horned adder—both members of the venomous genus Bitis. We located a shovel-snouted lizard, a Namaqua chameleon, and a web-footed gecko—lizard species adapted to the harsh life in and around desert dunes. Damaraland was next. Our lodge there was almost invisible from a distance. 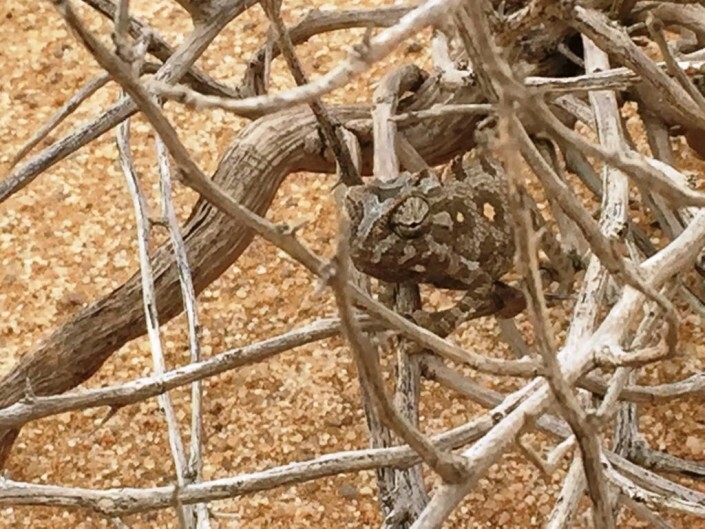 It had been cleverly nestled amongst the giant house-sized boulders of a kopje. 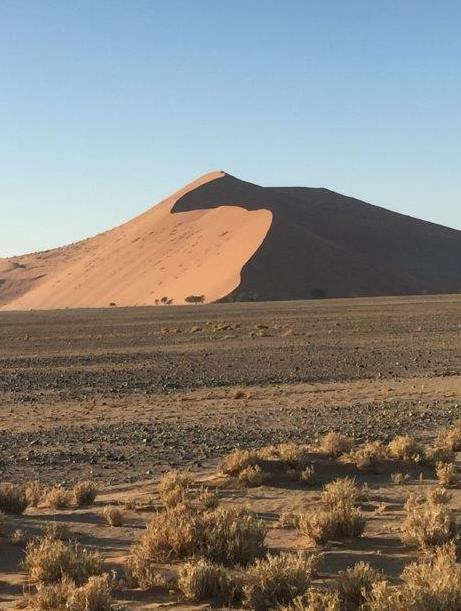 The entire region consists of rugged mountains, dunes, and gravel plains. Animals are surprisingly abundant. 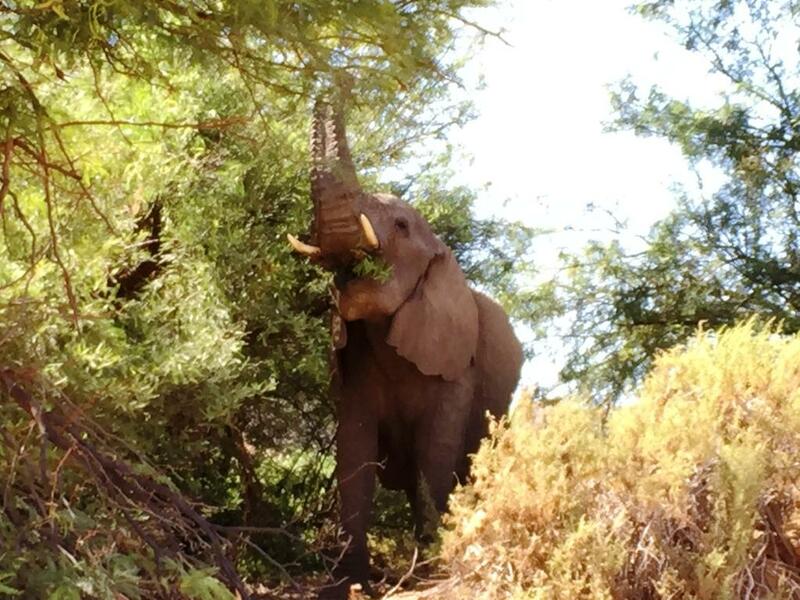 On a morning game drive, we found ourselves surrounded by desert elephants. 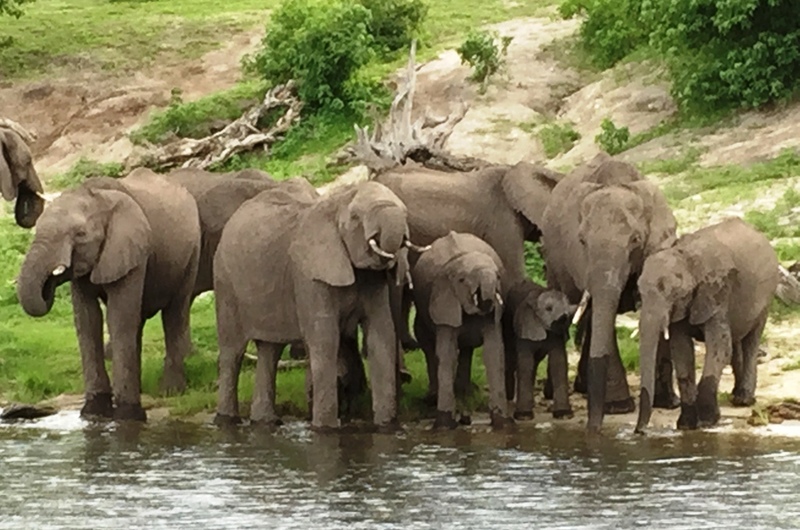 A large bull began making threatening gestures (ears out, trunk up), and the guides became noticeably concerned. An elephant can easily crush or overturn a vehicle and we decided to make a fast retreat to avoid an attack. The timing could not have been worse. 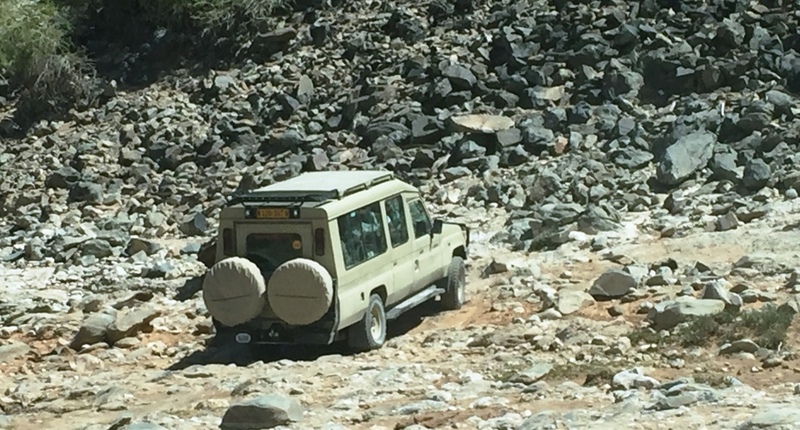 One of the Land Cruisers would not start. Dead battery. 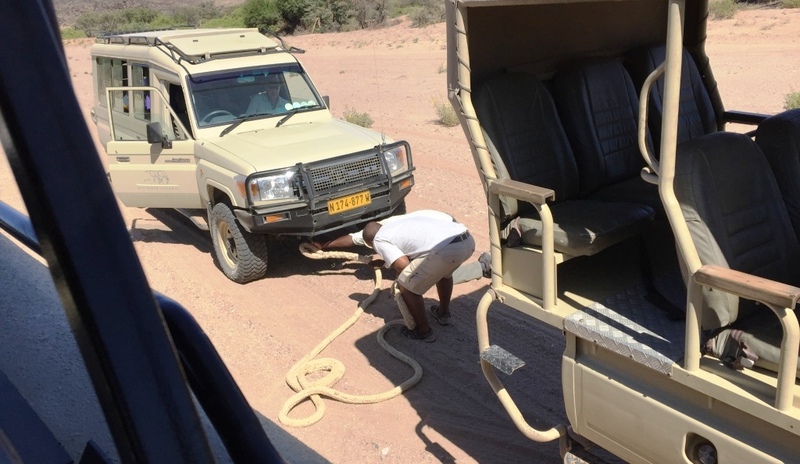 Nervously the guides kept an eye on the bull, tied a tow rope, and we escaped a potentially bad situation. Passing through and over some of the worst terrain imaginable (a road it was not) we arrived at a Himba village. 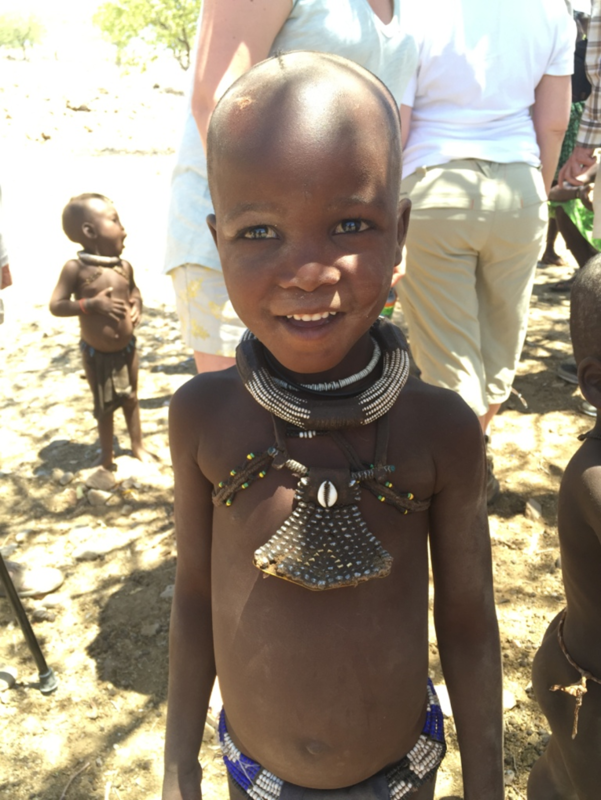 The Himba people live as they have for hundreds of years. Their small bomas are circular in shape with cone-shaped reed roofs and walls plastered with mud and cow dung. A remarkably cool solution to the intense desert heat. These are nomadic people, and it was entirely possible there would be no one home after our long tortuous ride, but we were in luck: women, children, and a few young men welcomed us to their village and into their homes. 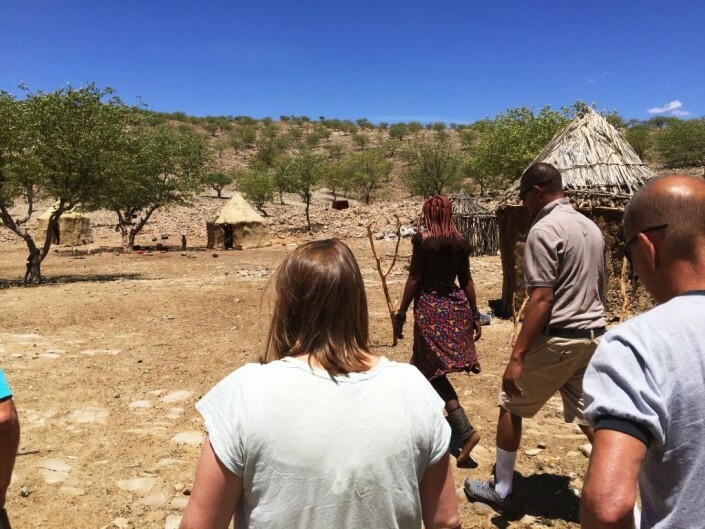 Himba wealth is measured by cattle, the wealthiest members of the tribe having numerous large herds scattered about the region. Himba women never bathe, even when water is available. 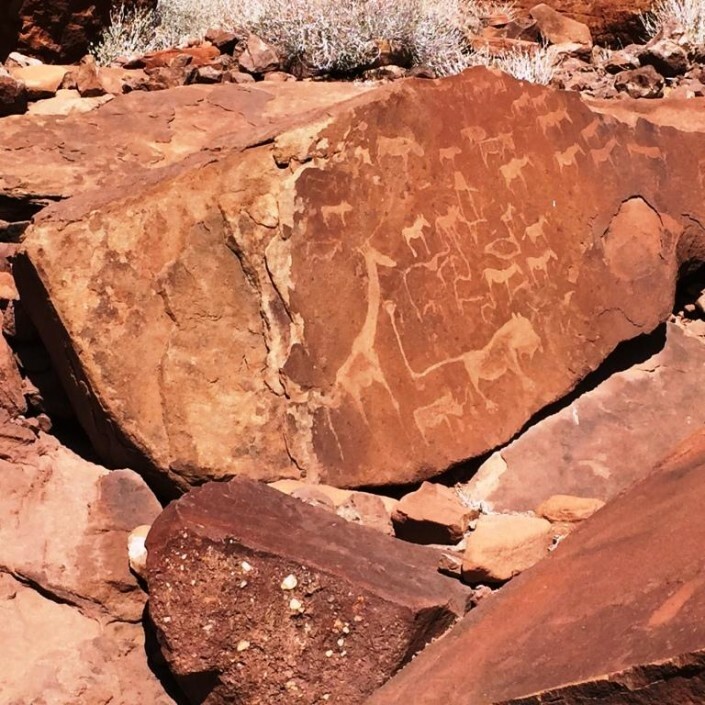 Instead, they smear their bodies with animal fat mixed with pulverized red rock. It must be a worthy alternative as we detected no objectionable odor. 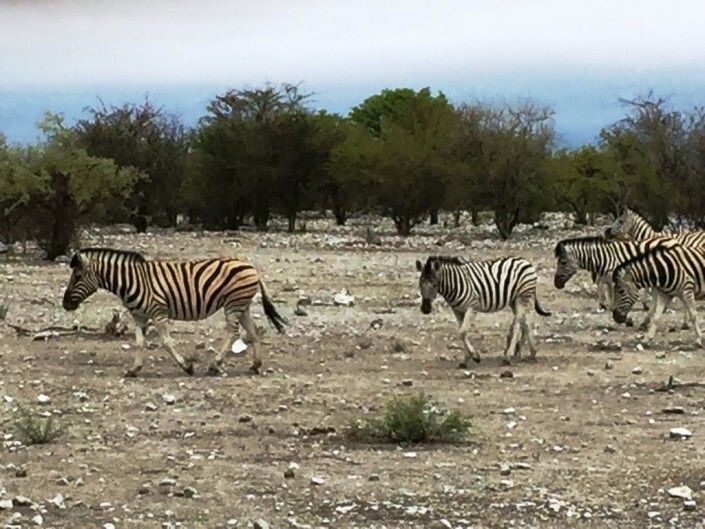 We spent the next two nights at Andersson’s Camp just outside Etosha National Park. A water hole off the dining area attracts a variety of wildlife—the most exciting were two young rhinoceroses. 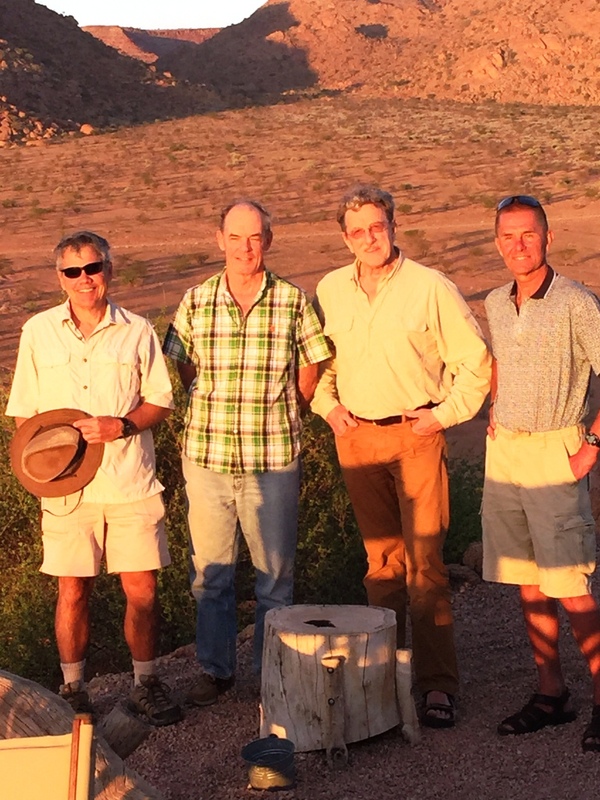 After exploring Etosha, we returned to Windhoek to join up with four more friends who would be with us for the remainder of the safari. From Windhoek we flew to the Caprivi—a strip of land that forms a panhandle in northern Namibia. This is normally a wet area teeming with crocodiles and other wild animals, but the Caprivi had not had significant rain in two years. Our camp, Nkasa Lupala, had been built along a now dry river. 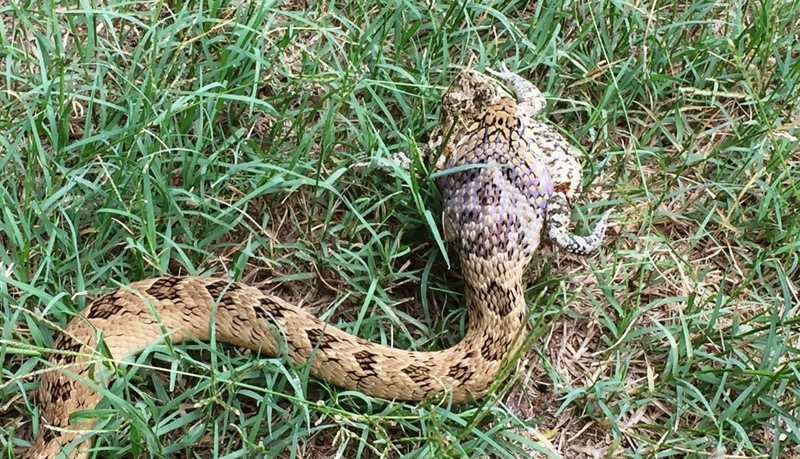 In spite of the drought, we saw lots of wildlife. Within the first few minutes after arriving, one of our group discovered a venomous night adder swallowing a toad directly behind one of the parked Land Cruisers. 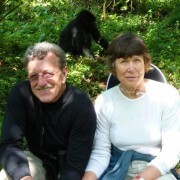 Nkasa Lupala is owned by an Italian family who have made every effort to leave no carbon footprint. The camp consists of tents erected on elevated platforms, and it is completely solar powered. Simone and his brother joined us for evening meals and answered our many questions. One of which was about elephant poaching. Is it a problem? Indeed it is. But unlike some African nations, Simone told us Namibia does not have a shoot-to-kill policy. When frustrated Namibian rangers encounter elephant poachers, they chase the poachers across the border into Botswana and notify the rangers there. Why? 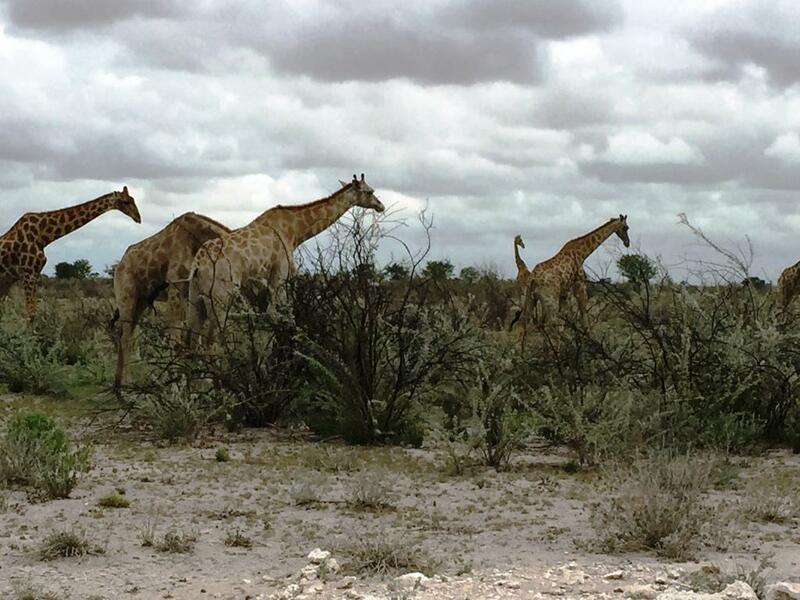 Botswana rangers shoot to kill. This may seem like harsh treatment, but consider this: poachers are currently killing an estimated 96 elephants a day in Africa. If elephants are to avoid extinction, harsh solutions may be the only hope. Learn more about the 96 Elephants conservation movement. 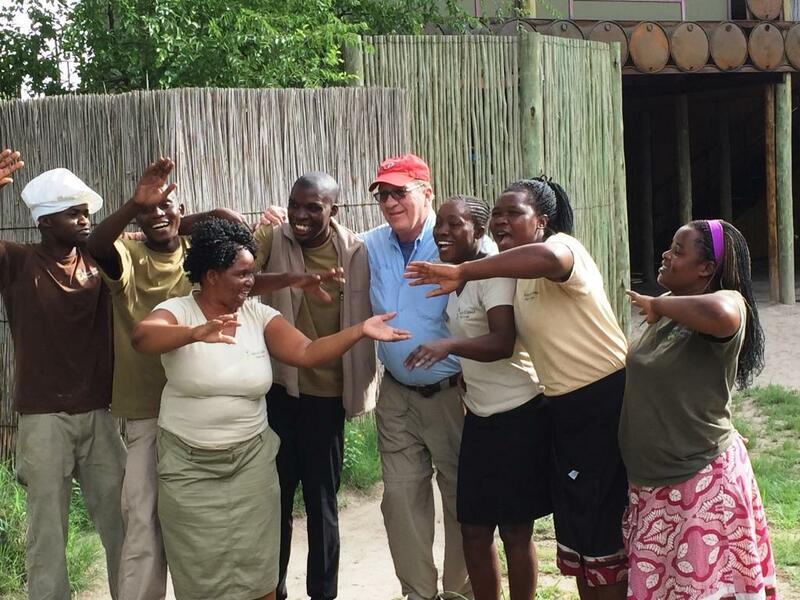 After two nights at Nkasa Lupala, it was only a few hours to Chobe National Park in Botswana. There’s no way to describe Chobe Game Lodge except to say…it’s posh. Luxury accommodations are $910 a night during the high season and $500 during low season. The five-star lodge is located along the Kwando-Linyanti river system, and we explored the river by boat where we saw Nile crocodiles and watched a family of elephants bathing along the shore. 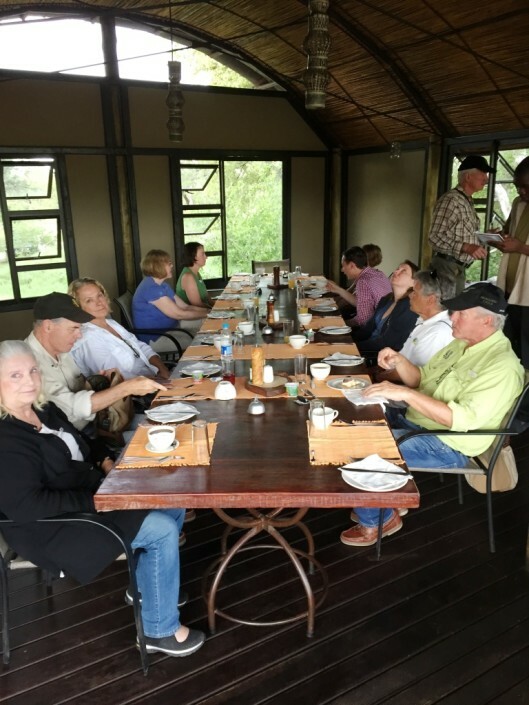 We used electric powered Land Rovers for game drives, and Chobe has plenty of game—lion, leopard, elephant, buffalo, hartebeest, impala, kudu, warthog, and springbok to name a few. From Chobe we crossed the border into Zimbabwe. 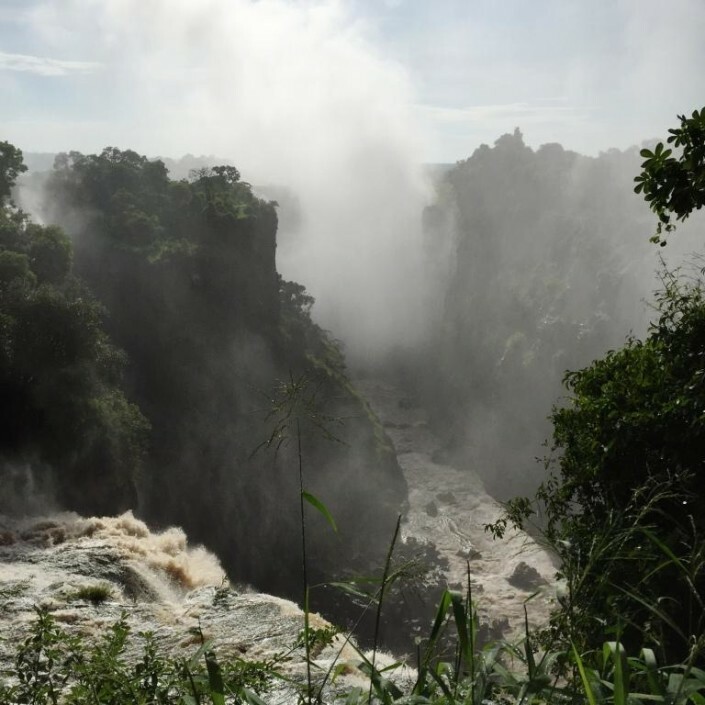 After settling into our hotel, some of our group took a helicopter tour of Victoria Falls, while others walked above the falls in the mist the following morning. 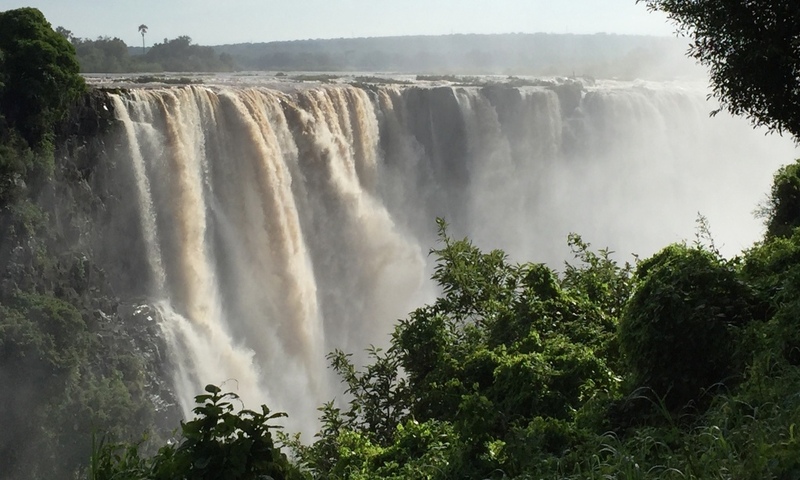 Here the mile-wide Zambezi River drops 354 feet. It is the world’s largest sheet of falling water, roughly twice the height of Niagara Falls. Truly an impressive sight and a perfect climax to a wonderful safari! Learn about Clyde’s next safari to Costa Rica in February 2017! It’s no secret we’re celebrating our 50th Anniversary this year. We’re halfway through our planned events, and we don’t want the summer fun to end! It’s a good thing we’ve got two more events coming up! In case you missed them, here’s a glimpse of our celebrations thus far. 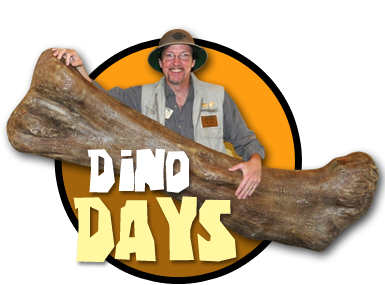 What a DINO-mite day! 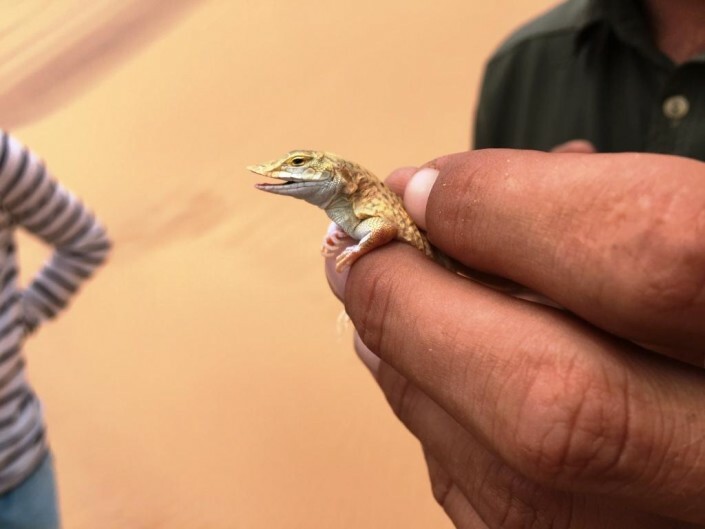 Kids got their faces painted with geckos, frogs, and butterflies; zoo keepers gave special animal encounters throughout the day; and everyone got to take home their own REAL dinosaur bone fragment! A large dino-filled coloring page was a collaborative project for kids visiting that day, and our friends from Sweet Frog, Scoop and Cookie, stopped by too! We also had a special Prehistoric Prize Package drawing that one lucky girl got to take home. It was a beautiful sunny day, and fun was had by all…We can’t wait for the next SCS day, Buggin’ Out! This event was the first of its kind at Reptiland, and we think it was a huge success! Thanks to the Genetti’s sponsorship, we were able to offer tickets for only $25, and the food they provided was amazing; from the passed hors d’oeuvres to the roast beef carving station, everything was fantastic. Also, three lucky guests won a complimentary night in the Genetti’s jacuzzi suite including a full hot breakfast the next morning–an awesome gift to walk away with for sure! In addition to sampling beer and wine from local establishments, guests also enjoyed rhythmic drumming by Steve Mitchell and folk/rock music by Zac Baggett & Isaiah Britton. 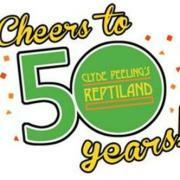 Clyde signed copies of his new book, Reptiland: How a Boyhood Dream became a Modern Zoo, and chatted with guests. Keepers entertained everyone with animal encounters and special alligator and Komodo dragon feedings. All of the exhibits were open as well, and guests were encouraged to meander through the zoo to enjoy all that the night had to offer! We had wonderful exhibitors, superb entertainment, delicious food, and perfect weather, not to mention great company. We hope to host something like this again in the future–we’ll just have to find another reason to have a big party soon…another 50 years is too long to wait! The summer fun isn’t over just yet–we’ve got two more Summer Celebrations left! Visit us tomorrow, July 22, for Buggin’ Out and on August 12 for Reptiland Safari. Click here for more information on these events. Hope to see you there! 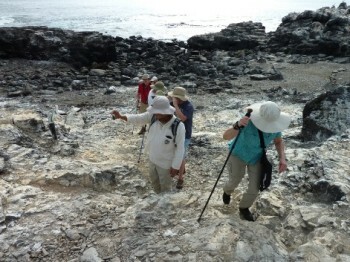 Our plane touched down an hour late on Baltra – one of 14 major islands that make up the Galapagos archipelago. The Baltra landing strip was built by the United States during World War II, and now serves as the primary means for visitors to arrive on and depart from the islands. 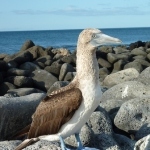 We paid our entrance fee into Galapagos National Park, and soon we were on our way to meet our boat, the Monserrat. Our crew greeted us with smiles, Pisco Sours, and took our luggage to our cabins. While we ate a late lunch, the boat began our week long cruise. 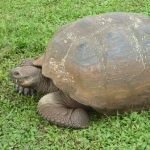 The Galapagos Islands are owned by Ecuador and straddle the equator 600 miles west of the mainland of South America. Each island is an exposed volcanic mountaintop –older ones being relatively flatter due to wind and water erosion. Newer islands are mountainous, with some volcanoes still erupting periodically. When Charles Darwin spent a month here in 1835, he wrote that from the water the land looked most uninviting, but the ever-curious Darwin explored four of the islands during the voyage of the HMS Beagle. He discovered that each island was home to many unique plants and animals. Not only were most different from those found on the mainland, but many were even different from one island to the next. In some cases, they are in view of one another. 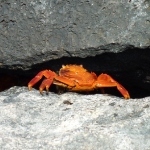 This seemed strange indeed, and although Darwin did not come up with his theory of natural selection during the voyage, as is widely believed, it is obvious from his notes that he suspected the islands might provide answers as to how new species are created. How was it, he wondered, that populations of mocking birds, finches, and giant tortoises could differ so much from island to island? They were obviously related, but different enough on some islands to be considered a separate race or species. Two years after his five year voyage his ideas began to coalesce, which led to his revolutionary book, On the Origin of Species in 1859. 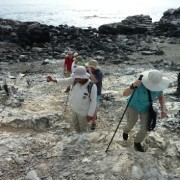 And now, our group of nineteen people from Pennsylvania and Delaware found itself retracing some of Darwin’s footsteps. We visited two islands each day and saw wild roaming 500-pound tortoises, land iguanas, marine iguanas, lava lizards, sea lions, tropic birds, hawks, boobies, and a myriad of other species. Snorkelers swam with white-tipped sharks, green sea turtles, and untold numbers of beautiful tropical fish. 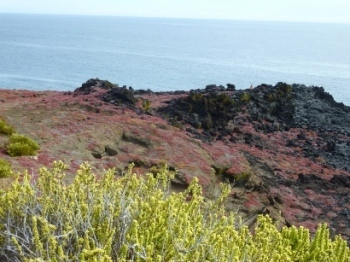 The islands are hot and usually covered with volcanic cinders or rocks. On many islands we went ashore on, there were magnificent beaches with sands that ranged in color from black to green to white. Plant life is fragile; rules about where visitors may walk were strictly enforced, but there was never a need to leave the path to see animals. They’re everywhere, often lying or nesting immediately on the path at your feet. Due to the heat, hikes were taken at a slow pace. Our knowledgeable guides interpreted the natural history and answered questions. After we completed our walk, we loaded back into our dingy (called a panga), which motored us back to the Monserrat for lunch/dinner. The food aboard the Monserrat was well presented and delicious. There was fish, poultry, beef, and fresh fruit dishes that concluded with wonderful desserts. The crew catered to our every need. Evenings were spent over wine, beer, mixed drinks, word games, and good conversation. The only near disaster occurred when our group discovered we had wiped out the boat’s supply of cabernet halfway through the cruise! The solution was near at hand: a National Geographic boat anchored next to the Monseratt had an extra supply, so our group abandoned any immediate thoughts of mutiny. We returned to the wonderful Mercure hotel in Quito where we had started our adventure ten days earlier. From there, it was back to Dulles Airport, and then home. I have led groups of visitors to the archipelago eight times over the past 20+ years, but I have never tired of this magical place. In fact, I have another trip planned for late February 2014. Hope you join me.